Discussion in 'Article Discussion' started by bit-tech, 22 Aug 2018. The company's going in hard, too, with partnerships brown envelopes stuffed with cash that have seen a wealth of games pledge support for the new features of Nvidia's Turing architecture. FTFY. I wonder how long after the release the ray tracing support will be added. Already making excuses. RTX is off to a flying start, eh? By dedicating some of the die to other features, the GeForce RTX 2000 family has fewer general-purpose CUDA processing cores than the equivalently-priced models from the GeForce GTX 1000 family that preceded it. Does that mean no extra performance over the previous cards in current games? Surely not. If you normalise to the same die area (and same manufacturing cost), that is. And assuming that doesn't result in a bottleneck somewhere else (e.g. 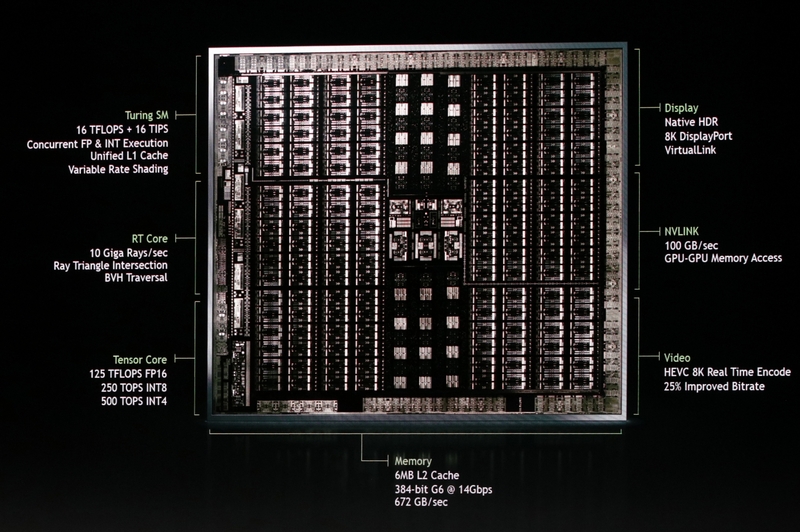 memory bandwidth to feed all those CUDA cores). Bandwidth should not be a bottleneck, what with a 352 bit bus and 14 Gbps GDDR6. Not sure we can make that assumption since Raytracing may or may not carry significantly higher requirements. But yes, for 99.9% of games it won't be an issue. Well, we were talking about theoretically replacing all RT cores with CUDA cores, so we are in known territory for bandwidth. That's a Pretty Slide Picture rather than an actual die layout diagram. If you look at the die shot (assuming even that is accurate) you can see 144 SMs for the fully operational die. 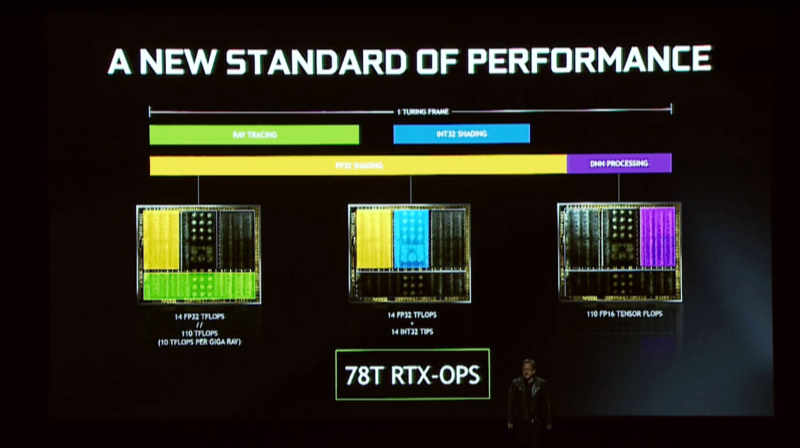 Looking at the Quadro RTX 8000, that means 32 CUDA cores per SM (to make up 4608), 4 Tensor cores per SM (to make up 576) and an unknown number of RT cores . ::EDIT:: Herped a derp, SMs are mirrored. 72 SMs, 64 CUDA cores per SM, 8 Tensor cores per SM. A little birdie also says 72 RT cores, but not whether that is 1 per SM as part of the SM or a separate block independent of the SMs (I'd guess as part of the SM myself). If we go by previous generation die layout breakdowns, the central 'column' is composed of the main uncore controller in the centre, the 'top' and 'bottom' of the bands being the ingest pipelines. Around the periphery are the memory controllers and ROP units (combined).